Placing a beanbag chair in your living room can be an effective and efficient seating solution. You can get a beanbag chair that is large enough to accommodate all your family members at once to create a close, intimate atmosphere. Nevertheless, when it comes to a good beanbag chair, Lovesac is perhaps the most well-known brand in the market. 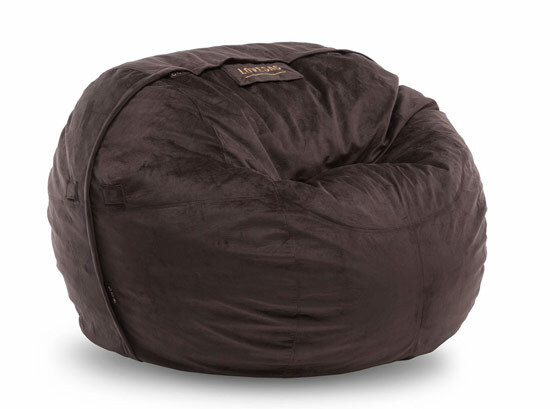 Lovesac’s products are widely considered as premium-quality products. However, they are also quite expensive. On the other hand, Fombag offers various beanbag chairs at much more affordable price points. Continue reading below to see the detailed comparisons between Fombag vs Lovesac! Despite the affordable price, Fombag has decent product quality. The inserts and covers are durable. According to the user reviews, the inserts are able to last without sagging. In addition, the inserts are contained in nice liners. The covers are removable and machine-washable for easy maintenance. If you really need to save some bucks but you don’t want to compromise with the product quality, Fombag is a great choice. The quality of Lovesac’s Sacs is not to be questioned. They hold the gold standard for beanbag chairs. The great thing about Lovesac is that they use a proprietary foam formula, called Durafoam, which ensures superior comfort and durability. The inserts will not sag, even after multiple years of usage. The inner liners’ zippers don’t have pulls to prevent an accidental opening, ensuring the longevity of the Durafoam. The covers are hand-sewn, and they are very durable as well. Most covers are machine-washable and hang-to-dry. When choosing between Fombag vs Lovesac, customization may be one big factor for some people. Fombag provides a wide range of products and accessories. There are various sizes available. You can ‘customize’ your Fombag on their official website by selecting a model and size. You can choose one of the different types of covers available, and choose a specific color from the provided selections. There are several accessories available, including mini pillows and blankets. Lovesac may be a better option if you want an in-depth personalization. You can customize the product by selecting the size and cover, but there are many more options of materials and designs. For example, there are polylinen, velvet, and leather covers, each with various colors, patterns, and textures. There are also various accessories to pair with the Sacs, such as the throw pillows, throw blankets, cinch cover, Squattoman, and Petsacs. Of course, pricing is a major issue when comparing Fombag vs Lovesac. If you have a very limited budget available, Fombag is probably the better choice. It is available at a much more affordable price point. For example, the 6’ Giant Fombag only costs $349. You can even get a discount on certain events. On the other hand, Lovesac is widely considered as a luxury brand. It is quite more expensive, so you should prepare some real budget if you are interested in a Lovesac model. For example, the 6’ Supersac may cost as much as $1000. 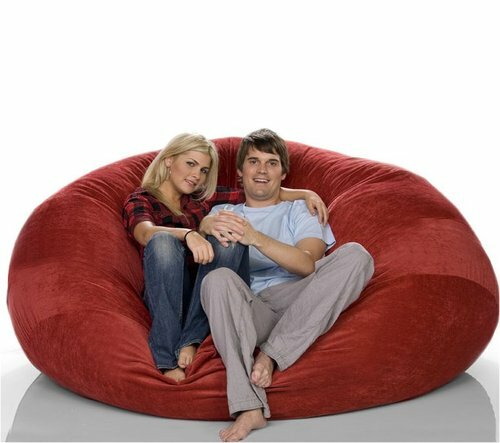 Before you buy a large product such as a giant beanbag chair, don’t forget to consider about the shipping. You probably don’t want to spend too much money for the shipping, as the product itself is already quite pricey. If the manufacturer provides free shipping, that would be a major plus point. Fombag does provide free shipping to the lower 48 states. The company will ship your order to your location without adding any additional charge. However, if you are in Alaska or Hawaii or another country, you will be charged with a shipping cost. The company recommends you to contact them prior to ordering a product to know for sure how much the shipping cost will be. Fombag delivers their products via FedEx. Most orders are shipped out between 1 and 4 business days. Once an order is received by FedEx, it may take between 1 and 4 business days to be shipped to your location. So, the total time for an order to arrive at your front door may take between 2 – 8 business days. However, if you need to receive the order by a certain date, you can contact the company and they will try to help you out. Similarly, Lovesac provides free shipping to the contiguous states of the United States. They also ship to Alaska, Hawaii, and Canada, but with an additional charge – you can contact the company to ask about the shipping cost. They don’t ship to other locations. Standard items are usually shipped in 1 – 2 weeks, whereas custom covers may take 4 – 10 weeks. The next thing to consider when choosing between Fombag vs Lovesac is the warranty. Fombag actually has decent customer service quality, as they are very friendly and responsive. However, the company only provides three years of limited warranty. The warranty only covers manufacturing defects. The user is only responsible for the cost of the return shipping; the shipping cost of the repaired or replaced item is covered by the company. The return policy of Fombag is great. If you are not satisfied with your purchase, you can return the item within 30 days since the purchase date to get a full refund. Not many companies in the competition provide full refund. On the other hand, Lovesac may be more expensive, but the high pricing also comes with an excellent warranty: every Sac insert is covered by a lifetime warranty against manufacturer defects. However, the Sac covers have a different warranty. Top Grain Leather covers come with a 5-year warranty, whilst other covers come with a 3-year warranty.Note that products used for commercial purposes are not covered by the warranty. However, returning an item with Lovesac is a little bit more difficult. An eligible item may be returned within 30 days since the purchase date. If it has been at least 15 days since the purchase data, there is a restocking fee that will be charged to you. The refund will be given via a corporate check sent to the shipping address within 14 business days. 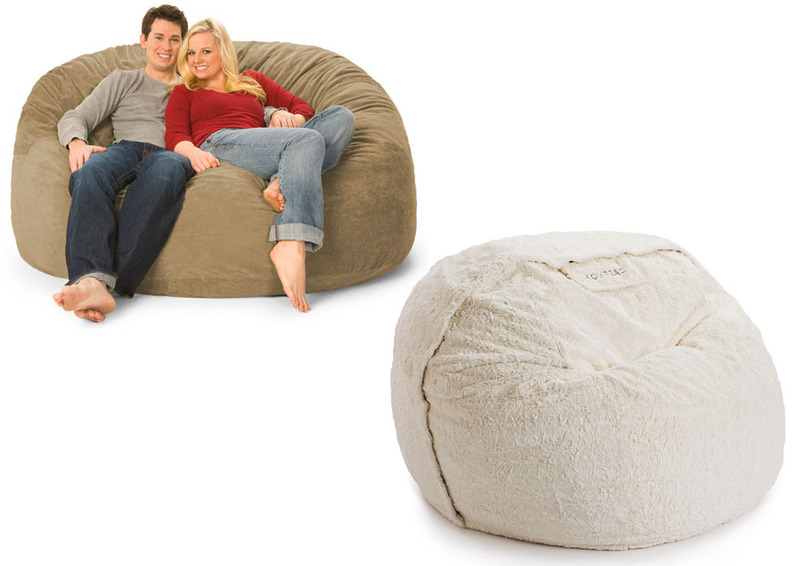 If you don’t want to spend too much money just for a beanbag chair, Fombag is definitely the way to go. It is much more affordable, yet it comes with decent product quality. It also provides free shipping, and the return policy is great. However, if you don’t mind spending extra bucks for the best quality, a wider range of customization, and a lifetime warranty, you can choose Lovesac.